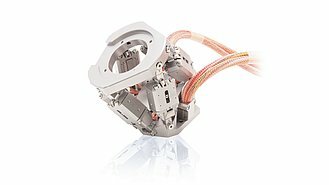 The smallest devices for motion in 6 degrees of freedom are built from Q-Motion® piezomotor stages, but also palm-size BLDC motor hexapods are available. 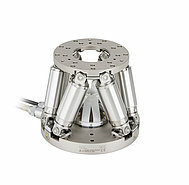 The kinematic design that is used depends on the importance of motion in an individual axis for an application. 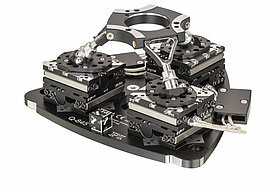 Best overall homogeneity of performance is achieved with the classic parallel-kinematic hexapod design. 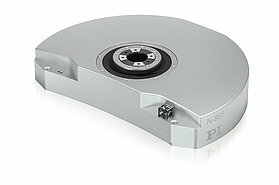 Low-profile design is preferred when relatively large linear motion is required. 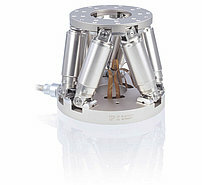 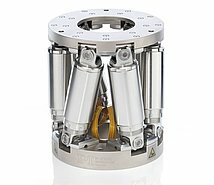 Ultra-high vacuum and nonmagnetic environments are best supplied with hexapods that use PI’s patented PICMA® or PiezoWalk® drive technology.